Nothing but gray. No icky red or green undertones. I'm in love. In love. Head over heels. If this ink isn't in your collection, it certainly should be. Certainly. 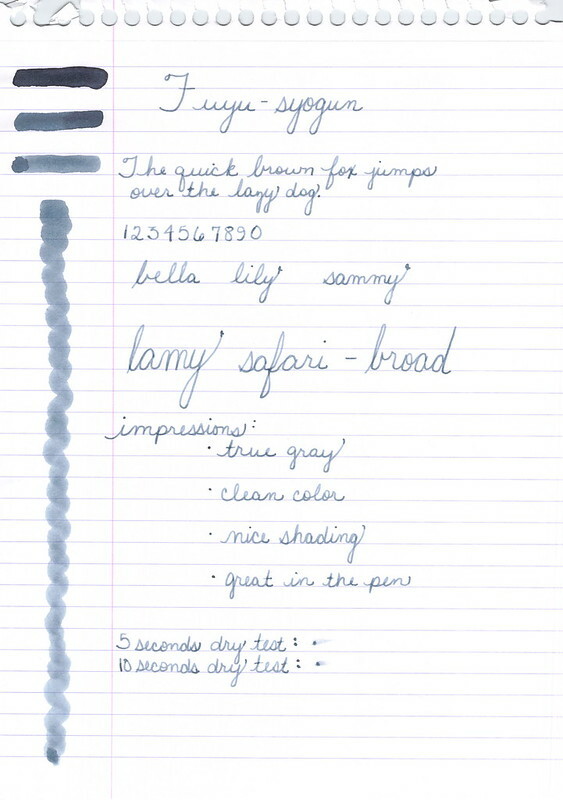 Have a look at my other grey/gray ink reviews and then run out and get this one. Seriously, I have nothing negative to say about this ink. 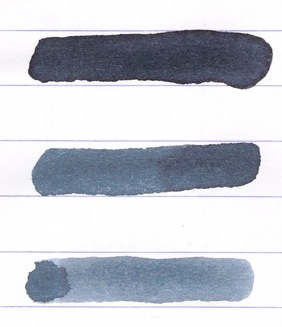 I ADORE this ink. Finally got my sample from Goulet before my trip to JAPAN, and this easily made "he list!"